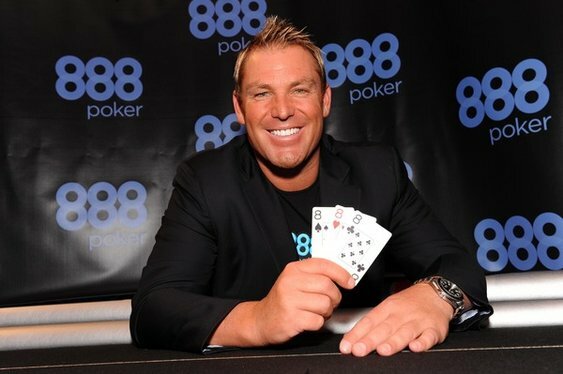 Aussie cricketing legend turned wannabe poker star Shane Warne will be starting 2015 patchless after severing ties with long-time backer 888 Poker. The leg-spin wizard confirmed the split via Twitter but added that he'll still be playing in this year's Aussie Millions and hopes to continue his poker dreams. FYI I still want to play on the pro poker tour & keep improving ! Really enjoyed the last 7 years with 888 but time to move on !!!! Warne has career earnings of $71,528 in live tournament poker. It could have been even better following a deep run at the WSOP Asia Pacific Main Event in October. The 45-year-old who was on the wrong end of a pretty bad beat and busted in 22nd when a final table place, with all the publicity that would ensue, was tantalizingly close. Knocked out, got it all in with AK V AQ, Q was the window card !!!! Happy with my game, but very disappointed not to double up #888APAC ??????? ?